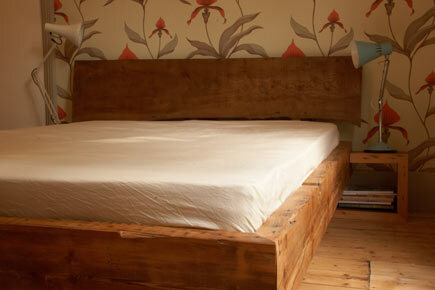 The chunky reclaimed-pine floor joists that make up the frame of this bed have been sanded and waxed to maintain their aged appearance. 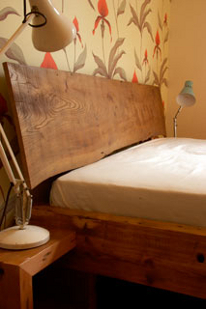 The elm headboard shows off the dramatic grain and original machine cuts. 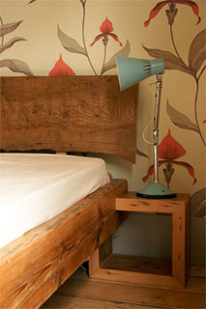 The side boxes create ideal bedside tables.